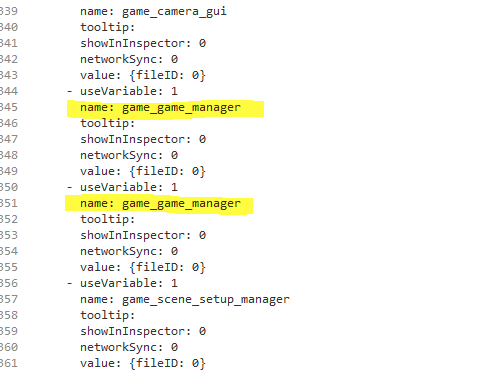 Without really knowing how things are working, my only guess is that my Gameobject Global Variables section is corrupt somehow? The variables that get disconnected don't show up in my Global Variables inspector preview OR the window. But they DO show up in the actual file If I crack it open. 1. First time this happened was with the 'game_game_manager' variable, which I now realize I have two of in my globals for some reason? 2. 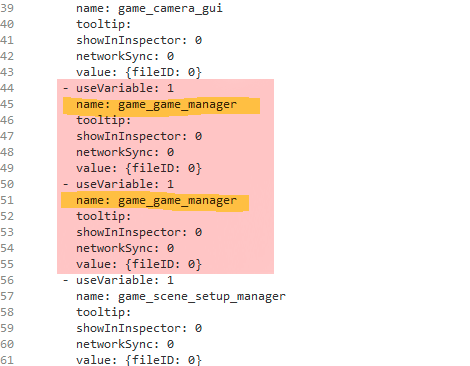 The variable I'm currently missing is 'game_unit_manager' which shows up in the actual globals file still, but not in the globals inspector preview or the playmaker globals window. 3. 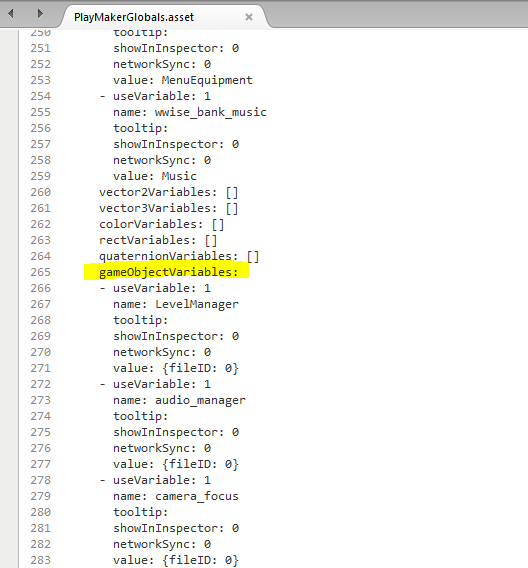 In the inspector preview of the globals, there's a floating/unassigned game object variable at the top, seems out of place, could possibly be contributing to the error? Alrighty spent a day figuring this one out. At some point within the past 3 or 4 versions of Playmaker I believe my global variables got corrupted. I specifically remember it happening around the time categories became a thing. 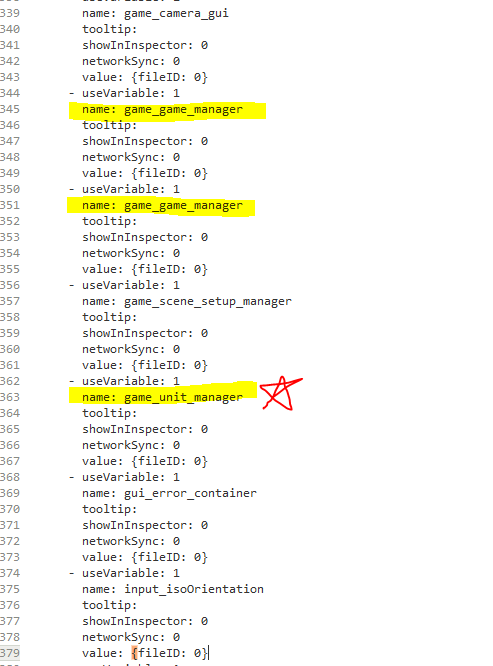 The issue was that when making a new global variable, it would delete one that was made prior, unlinking it from anything that was referencing it. 1. 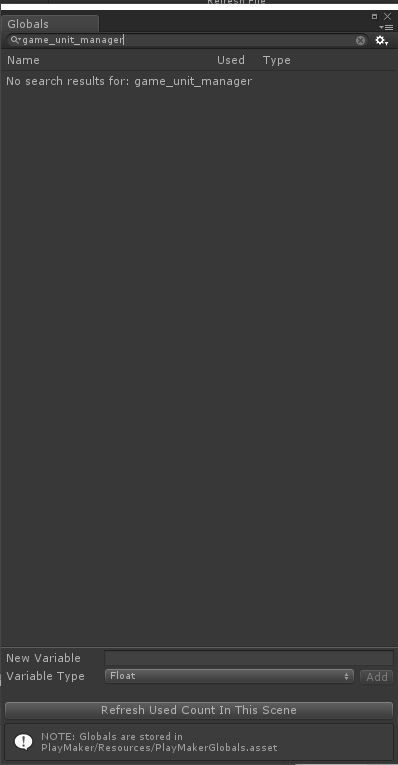 Open up your PlayMakerGlobals.asset file in mono. 4. Delete BOTH variables sections. I've highlighted what it should look like in red. 5. Save the file. Exit out of the Global Variables window if you have that open. Then close Unity. 6. 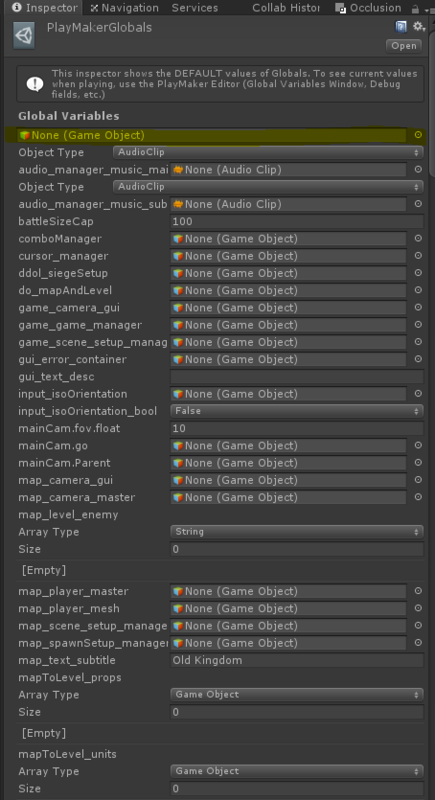 Open Unity again, open the PlayMakerGlobals.asset file again and do a ctrl+f to search for the variable to make sure it's not in there. 7. Open your globals variables window, create the variable again. 8. Go through your Error Check window and go ahead and put in that new variable you created. After that, close Unity, open it back up and you should be all good to go! I hope no one else has to put up with this problem. Cheers to a bug-free PlayMaker 2.0! thanks for this. I pinged Alex on this, maybe there is something we can do internally to check for these duplicates and correct it. We'll see.